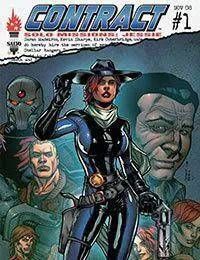 As the hard working CEO of the CyberMerc company, The Stellar Rangers, Jessie Garrett needs a break from the daily mercenary rat race. A visit home to visit her father is just what she needs to recharge. But her homecoming is interrupted by an unexpected guest - forcing Jessie to relive just how she became a merc in the first place.